Last year, China accounted for over half of the scrap metal purchases exported by the United States, while for decades they have been buying up US recycling by the ship-full after US sorting facilities bale up paper, cardboard or plastics to be crushed and transformed into raw materials for industrial purposes. Since 1992, China and Hong Kong have taken in approximately 72% of global plastic waste according to a study in the journal Science Advances. Since January, however, Beijing stopped accepting most paper and plastic waste in accordance with new environmental policies. What they do still accept - cardboard and metal, now has an extremely low contamination threshold of just 0.5% - a level far too low for current US recycling technology to handle. Making matters worse is that US waste handlers believe that China is on track to close its doors to all recycled materials by 2020, just 17 months from now - an impossibly short deadline. China's sudden policy shift has sent the US waste industry into a panic. In Elkridge, Maryland for example, a Waste Management facility now has a pile of effectively worthless mixed paper and plastics on their hands - while paying subcontractors to haul it away. 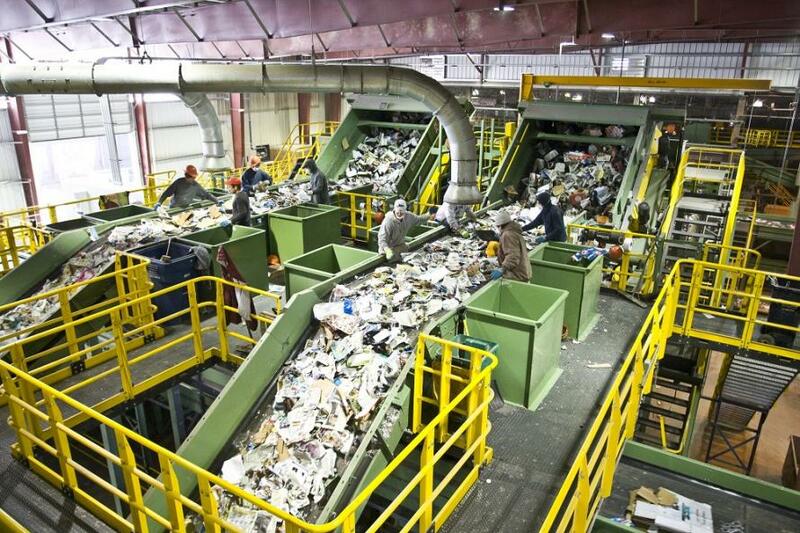 Other US recycling plants are simply sending mixed recycling straight into landfills. "Nobody wants to say it out loud, because nobody likes the fact that they're having to do it," said Bill Caesar, CEO of Houston waste company WCA. Waste Management and Republic Services, another industry heavyweight, have admitted doing it under limited circumstances, while some small towns, particularly in Florida, have simply stopped collecting recyclable waste. Other scrap importer countries such as Indonesia, Vietnam or India are incapable of absorbing the tens of millions of tons that China had previously taken. "The biggest issue here is that China just gave very little time for the industry to transition," said Adler. National Waste and Recycling Association president Darrell Smith added: "Eventually we will have such a large backup that more and more will have to start being diverted to landfills if we don’t find new markets and new uses for the recycled materials." Perhaps America can begin expanding into the Atlantic and Pacific oceans, lashing together hundreds of square miles of floating garbage islands which would undoubtedly be considered prime real estate.